Divetech is hosting the 5th annual FOCUS UNDERWATER (previously Tek Week), an annual event that brings together underwater photographers, ocean conservationists and rebreather enthusiasts, at Cobalt Coast Dive Resort in Grand Cayman August 24–31, 2013. Participating divers will enjoy world class diving on the North Wall and Northwest Point while sharing their passion for the sea with professionals from the rebreather diving world and the underwater imaging industry who are there to share what they know and the show the latest equipment on the market. Attending FOCUS UNDERWATER are well-known dive industry personalities Ryan Canon from Reef Photo & Video, Chris Parsons from Nauticam, Curt Bowen from Advanced Diver Magazine, Paul Barnett from Light & Motion and Adam Hanlon from Wetpixel, plus Mike Fowler from Silent Diving, Doug Ebersole from KISS Rebreathers, Eric Keibler from Oceanic Ventures and Peter Sotis from Add Helium. Divers who sign up for the event will have the chance to test the latest in underwater housings, strobes and cameras from Reef Photo & Video and Nauticam. In addition to diving with the professionals, they will learn about new products and technologies, or test the latest in rebreathers. FOCUS UNDERWATER includes six days of open-deck boat trips, unlimited shore diving with incredible macros opportunities, unlimited air, O2, nitrox, trimix and scrubber, including Cayman’s famous Kittiwake Wreck and Stingray City, plus the new blue light NightSea® Flouro Discoverydive by Light and Motion. The photo contest includes categories for Cayman Small, Underwater Scene, Spirit of Cayman, Fluorescence and Spirit of Cayman Video and awesome prizes awarded with 100% of the entry fees donated to ocean and marine life conservation including setting a turtle free! Everyone wins a prize! Easterbrook says FOCUS UNDERWATER is an evolution of what was their annual TEK WEEK, an event specifically designed for advanced and technical divers. As more and more divers began using rebreathers, she says they also expressed interest in underwater photography. To accommodate that change in the industry, Easterbrook added clinics and specific photo dives to the week’s itinerary, and then in 2009 renamed the event FOCUS UNDERWATER to be more inclusive. No matter if you are shooting or not, focus underwater is a good thing. With a full week of diving, clinics, workshops, lectures, demonstrations, test diving rebreathers and other events, Nancy Easterbrook says her favorite part of the event is enjoying the fruits of everyone’s labors. “Of course all the incredible, creative photography and video is such a joy to watch under 10,000 Caribbean stars!” she says. Sessions to choose from include: Intro to Fluorescence Light & Lighting, Wide Angle Techniques, Exposure – Dialing It In, Green Water, Shooting Wrecks, Lighting Techniques – Strobe Positioning and More, Macro Techniques and Tools, HDR and Pano Images, Macro Video, Video Techniques, Editing and Exporting Images w/Lightroom, Technical Excellence – Eliminating Common Errors in Photography, Telling a Story with Video, Intro to Video Editing, Image Sharing & Collaboration and Silent Shooting. In addition to diving, the event package includes accommodation at the Cobalt Coast Dive Resort, full meal plan, special cocktail hour, airport transfers, tax and service charges, bus tour in the mangroves, photo contest entrance fee and an event t-shirt. The US price per person is $2,300 for divers, $2,800 for CCR Divers and $2,100 for non-divers, based on double occupancy. For reservations or information call toll free 1 888-946-5656, or in Grand Cayman, 1 345-946-5658. Information is also available online at www.FocusUnderwater.com, www.divetech.com, or www.cobaltcoast.com. Grand Cayman, Cayman Islands (Oct 21, 2013) – An encounter with a sea turtle is always high on the wish list of every visiting diver to the Cayman Islands, and they are very rarely disappointed. The sea creature recognized as the national symbol of the Cayman Islands almost always makes an appearance during a dive, sometimes more than once, fulfilling expectations like those set by Karina Erickson, a frequent guest at Sunset House and passionate sea turtle lover. Two types of sea turtle live in Cayman waters year-round: hawksbill turtles and green turtles. Juvenile hawksbills live on the coral reefs and are often seen by scuba divers and snorkelers. Green turtles live on the seagrass beds of the lagoons inside the reef. Divemasters say they can count on spotting at least one sea turtle per dive to keep guests happy, and sometimes, as many as four turtles swim by to check out the excited divers. At sea, turtles play a critical role in keeping Cayman’s reefs in balance. As sponge-eaters, hawksbills keep sponges from overwhelming slow-growing hard corals. Green turtles also help the marine environment by grazing on seagrass beds. Divemasters share this tip with divers who want to see a turtle: find a Leathery Sponge (their favorite snack) and look for a circling Angel Fish, a turtle won’t be far away. Since 2000 the Cayman Islands Department of Environment (DOE) has been capturing, tagging, and releasing turtles in Cayman waters to determine population size, migration patterns, growth rates, habitat use and diving behavior. Data collected with time depth recorders and acoustic tags shows that hawksbill and green turtles dive deeply on the Cayman wall, sometimes as deep as 300 ft. By using the turtles’ DNA as a kind of genetic bar-code, DOE has also discovered that young hawksbill turtles in Cayman hatched on beaches in Central America, Mexico, and the Eastern Caribbean. This means young turtles have travelled hundreds or thousands of miles by the time they reach Cayman, critical information in protecting the migrating sea turtles. Turtles are iconic in the Cayman Islands, and they have played a significant role in its history. During sea turtle nesting season, May – November, the local community’s focus turns to protecting the beloved creatures. DOE manages an effective turtle-nesting beach monitoring program that raises awareness and educates the public on what needs to be done to protect them. Historically, four types of sea turtles were found in Cayman waters – green, loggerhead, hawksbill and leatherback turtles. It is believed at one time millions of green turtles nested here, the largest number in the Atlantic. Christopher Columbus, who discovered the islands in 1503, called them “Las Tortugas” because of the abundant sea turtles. Commercial harvesting decimated Cayman’s turtle populations to the point of extinction, but they have gradually made a comeback. In 1998, the DOE began surveying beaches to identify turtle nests and document nesting trends. “The first years of monitoring showed that leatherback nesting was locally extinct, and likely lost to us forever, but extremely small numbers of green, loggerhead, and hawksbill turtles persisted,” says Dr. Blumenthal. “Since that time, hawksbill nesting has continued to hover at the edge of extinction, but loggerhead and green turtle populations have begun to show signs of recovery – increasing from less than 30 nests when DOE monitoring began in 1998 to more than 300 nests this year.” Dr. Blumenthal says DOE was encouraged to document a number of hawksbill turtle nests this year, but they have yet to see leatherbacks make a return to Cayman’s beaches. While turtle populations on reefs are thriving and nesting sea turtles have made a comeback in Cayman, they still face many threats. Dive operators and beachfront hotels are at the forefront of both land and sea conservation efforts. On the beach, development threatens nesting turtles because light pollution disorients baby turtles – they often end up on dangerous roads instead of the sea. Many beachfront hotels and other developments turn off lights on the beach during the summer, and the DOE promotes the use of “turtle friendly lighting” designed to meet the needs of property owners without impacting nesting or hatching turtles. Because more properties are participating in protecting turtle nests and improving survival chances for the hatchlings, there are increased opportunities for low-season ecotourism. When nests start hatching, visitors lucky enough to witness the event cheer the hatchlings on as they begin their dangerous journey to the sea. Mysteriously, female turtles who survive into adulthood will someday return to nest on the same beach where they were born. In the ocean, the biggest threat to turtles is trash – particularly entanglement in discarded fishing line. Dive operators play a key role in protecting turtles on reefs by regularly collecting fishing lines during dives and organizing reef cleanups. On Little Cayman, the Southern Cross Club organizes two island-wide beach clean-ups in advance of nesting season to help the turtles, and then they encourage resort staff, guests and residents to walk the beaches to find and monitor nests. 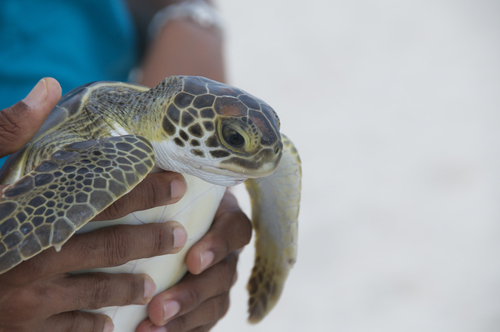 “With so many nests here on Little Cayman, we feel it is essential for the whole community to come together to support this project, and together, do all we can to protect our turtles,” says General Manager Jennifer Mills. Dr. Blumenthal says it is important to understand that sea turtles need protection everywhere. Offering diverse and wide-ranging dive programs on both Grand Cayman and Little Cayman, the members of this dive group represent the best Cayman has to offer; Divetech (www.divetech.com), Ocean Frontiers (www.oceanfrontiers.com), Red Sail Sports Grand Cayman (www.redsailcayman.com), Sunset House (www.sunsethouse.com) and the Southern Cross Club (www.southerncrossclub.com). 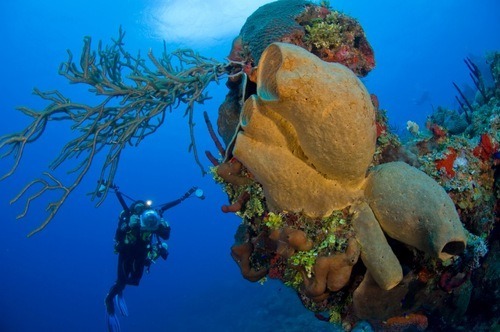 Since 1957 when the Cayman Islands was recognized as the Caribbean’s birthplace of recreational diving, visitors have flocked here to enjoy the spectacular drop-offs and diverse dive experiences that have made Cayman a mecca for divers. Among them are well-known celebrities and dive industry pioneers who keep returning to the Cayman Islands year after year. In Cayman they find a convenient destination that offers incredible dive sites, top-notch dive services, world-class accommodations and restaurants, plus one of the most beautiful beaches in the world. Apollo 11 Astronaut Buzz Aldrin, who famously walked on the moon and traveled in outer space, recently made his 4th trip to Cayman to share a dive adventure with the winners of an auction. They paid thousands of dollars to win the “astronaut experience”, and the money raised will help the Astronaut Scholarship Foundation support science and engineering students. Aldrin could pick another destination, but he chooses Grand Cayman and Divetech exclusively for this adventure. NBC Today Show weatherman Al Roker is perhaps one of Cayman’s biggest fans. 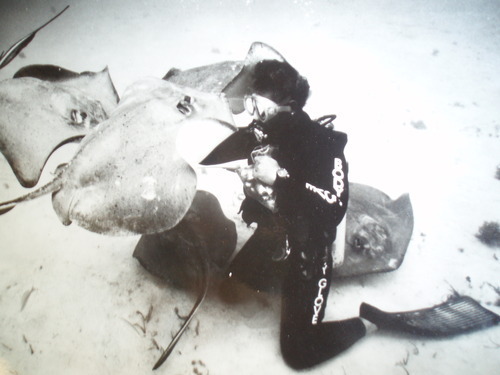 He first visited Grand Cayman in 1995 to tape a news report for NBC on Stingray City, Cayman’s most famous dive. After completing a resort course with Red Sail Sports, Roker dove with the rays and got hooked on the adventure. Easy access is why well-known author and international speaker David Meerman Scott, an American marketing strategist, recently chose Grand Cayman for a quick getaway with daughter Allison. Ocean Frontiers and the island’s remote East End proved the perfect combination for quality family time. At the top is where pioneer of underwater film and photography Stan Waterman places the Cayman Islands. Waterman, who worked on films that include Blue Water White Death and The Deep, recently hung up his fins after his final dive in Cayman. 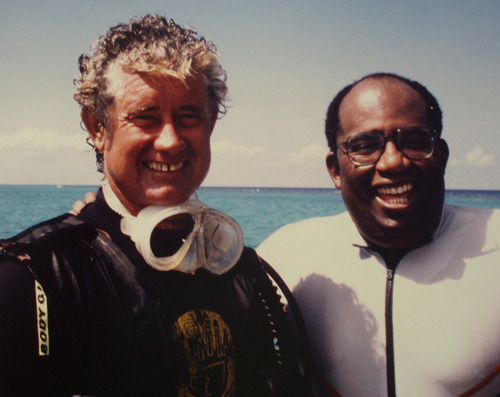 In an interview published by the Caymanian Compass, Waterman was described as the unofficial ambassador for Cayman Islands diving. “I am often asked by people who haven’t come to the Caribbean where they should start and I tell them that Cayman has more that can be depended on than any other place I know. You have these jewels in your crown like Tarpon Alley, Stingray City, the drop offs, the wrecks that have been put down. There’s more here for people who are coming diving than anywhere else in the Caribbean. Without being paid to do so, I always beat the drums of Cayman,” he said. Cayman diving will soon receive additional exposure through a new music video being released by country singer Stephanie Quayle. Big Blue Town is a song inspired by the work of Sea Save, a non-profit organization working to stop the finning of sharks among other conservation projects. The video was shot on location at Sunset House (who is very familiar with country stars and being a part of award winning videos) and its famous reef. Other celebrities who have dived and snorkeled Cayman’s waters through the years include; director James Cameron; actors Tom Cruise, Gene Hackman, Rob Morrow, Michael Keaton, Edward Norton, Jessica Alba, Leslie Neilson; professional athletes Tiger Woods, Marcus Allen, Joe Montana, Edwin Moses, Nolan Ryan, Fox NFL’s Howie Long; TV personalities Stephen Colbert, Regis Philbin, supermodel Cindy Crawford and General Charlie Duke. Cayman has also been a big draw for entertainers in the music business: Phil Vasser, Travis Tritt, Blake Shelton, Chris Cagle, Bryan White, the Beach Boys, Rascal Flats, Little Texas, the Nitty Gritty Dirt Band, among many others. 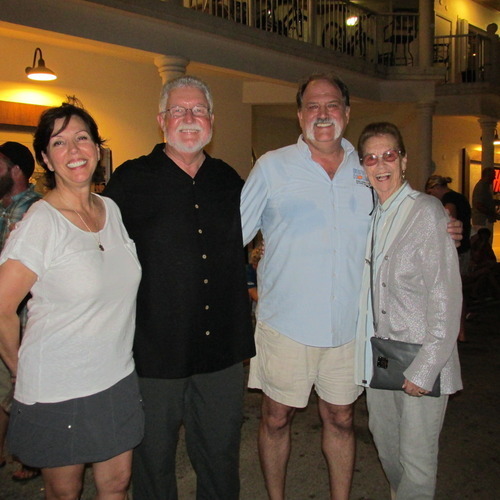 Tanks, tuxedos and tasty lionfish were all hits at Cayman’s first annual Legends and Lions scuba celebration, which rolled out October 4 – 11, 2014 with great success thanks to teamwork, a good turnout and perfect weather. 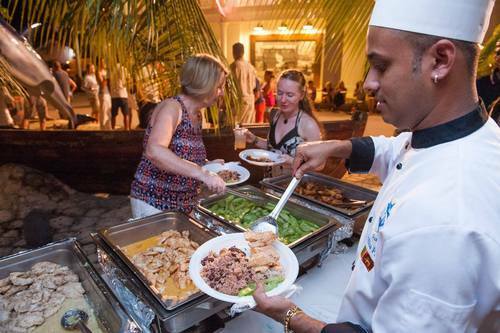 The celebration showcased Cayman’s superb diving, honored dive legends inducted into the International Scuba Diving Hall of Fame, fought invasive Lionfish and then served them up at a celebratory street party on the waterfront. Dive industry leaders teamed up with the Cayman Islands Department of Tourism to combine several existing scuba promotions during this traditionally slow time of year to take advantage of off-season rates. The dive deals offered by Red Sail Sports, Sunset House and Divetech attracted new divers to Cayman from as far away as Germany, and drew repeat divers from closer markets in the US back to a destination they know well and visit often. Some visitors started the week of diving aboard a Red Sail Sports dive boat with scuba pioneers Bill Acker, Dan Orr and Leslie Leaney. The three hall of famers spoke to the group about the history of diving and their experiences in the sport. 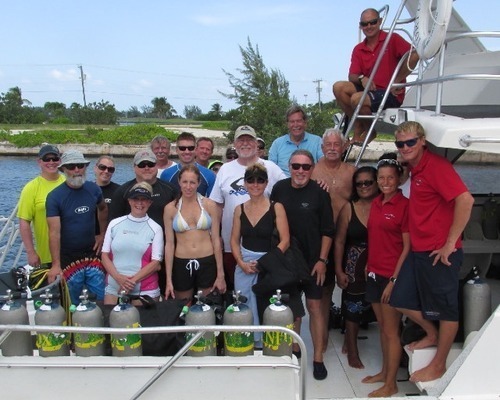 The legends and divers then hit the water together to dive Cayman’s spectacular North Wall where they explored dive sites Creole Cliff and Pinnacle Reef. It was an experience Carolyn Larrivee and her husband George from Utah won’t forget. Also attending the festival were top performers from dive shops and booking agents participating in Cayman’s Tanks A Lot Rewards Program, courtesy of the Department of Tourism and Cayman’s dive industry. 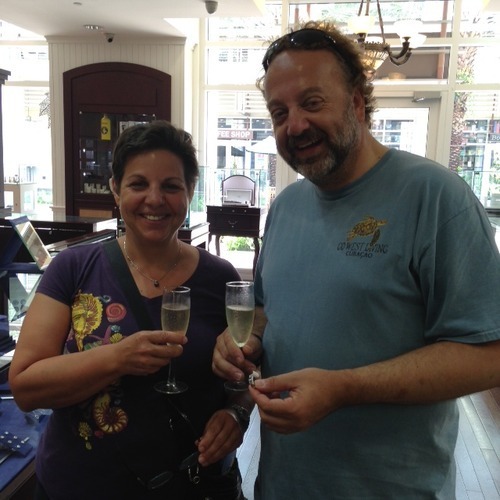 A couple of the FAM attendees – Paula and Dean of The Dive Academy in Ontario – celebrated by getting engaged and then picking out a ring. The weeklong fun continued with topside events that Lionfish culling certifications and culling dives to remove the predators from Cayman’s reefs. The day’s catch was then cooked up and served during a street party sponsored by Aqua Lung. 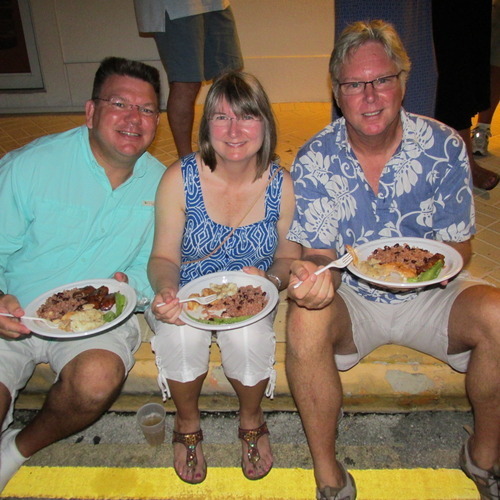 “I’ve never had Lionfish before and it’s tasty!” said a surprised and pleased Rich Peterson, visiting the island from Jacksonville, Florida. The meal included Caribbean staples rice and peas, plantain and “cho cho” a tropical fruit. Legends and Lions also hosted a photo contest during the week that drew local, as well as visiting underwater photographers. 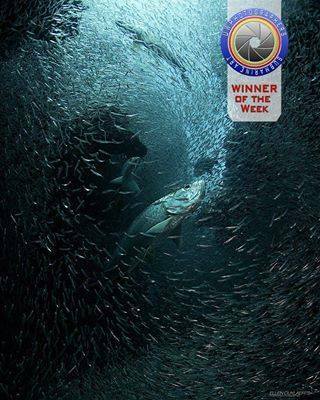 The winners received prizes awarded by Scubapro, Guy Harvey and the Cathy Church Underwater Photo Centre. Coordinator Keith Sahm says the images submitted for the event were astounding and the response to the collections has been great. Categories included; Unusual, Macro, and Turtles, Stingrays and Fish. Winners included local divers Charlie Reaney, Brittany Slade, Amanda Nicholls, Chase Darnell, Courtney Platt and Ellen Cuylaerts. 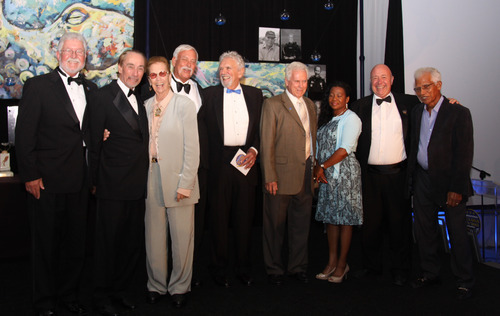 The scuba week celebration was capped off with a formal, black tie International Scuba Diving Hall of Fame Induction Dinner hosted by the Cayman Islands Department of Tourism. These year’s inductees were Alese and Mort Pechter, Bill Acker, Chuck Nicklin, Dan Orr and Neal Watson. 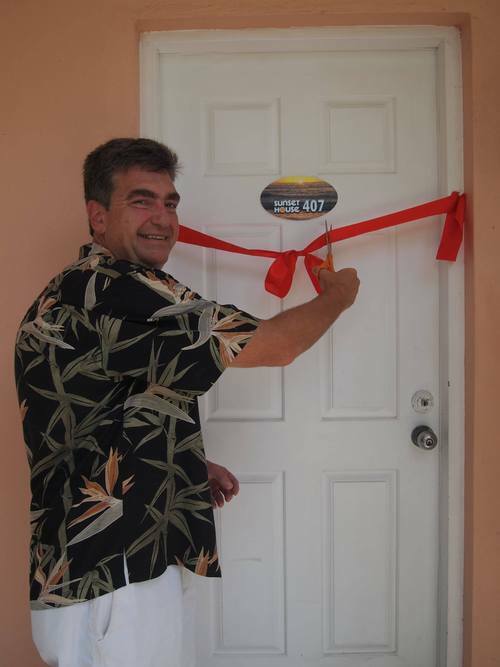 Rod McDowall of Red Sail Sports was also honored for his contributions to Cayman’s dive industry through the years. Everyone involved in Legends and Lions is anxious to get started on plans for 2015 since this first event was so successful – there are new ideas to discuss for next year. “We want to put this event on every divers calendar – fantastic diving, great dive deals, diving with industry celebrities and a street party – the perfect Cayman Islands dive vacation!” said Rod McDowall. 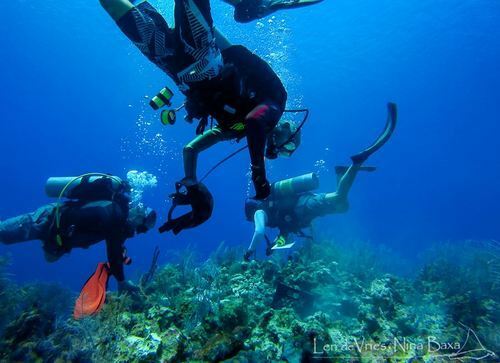 In the waters off George Town, Grand Cayman, a group of approximately 50 volunteer divers led by local dive operators, and guided by the Cayman Islands Department of Environment (DOE), are working tirelessly to repair a coral reef severely damaged by a cruise ship anchor in mid-August. 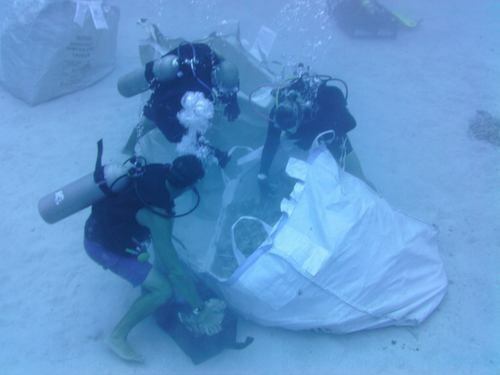 Working in teams with designated leaders, following project coordinators under the direction of the DOE, the divers are carefully removing the rubble, dead coral and sediment, crate by crate, knowing that time is critical. Hatcher and Keith Sahm, Sunset House General Manager, are coordinating the structured project, guided by the Department of Environment. They are making sure the work is done carefully, methodically and safely. Both stepped up after they heard the news that the Carnival Magic accidentally dropped its anchor on the dive site. Frustrated by lack of immediate action, Sahm organized an emergency meeting September 18 at Sunset House and an overflow crowd of volunteers showed up motivated and ready to go to work knowing that time is critical and government manpower is short. Two days after the meeting, the volunteers made their first dive on the site, saw the extent of the damage and realized what they are up against. The goal is to execute a coral restoration project similar to the one carried out in 1996 when the Maasdam cruise ship dropped its anchor on a shallow dive site in George Town damaging 7500 square feet of the reef. 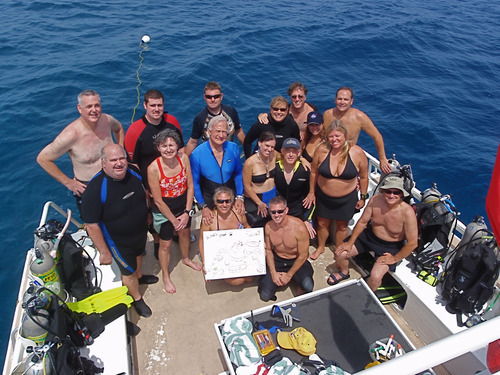 That restoration project, conducted by local divers, including Lois Hatcher, and the Department of Environment, took about 9,000 hours of underwater work over three months. Officials say that coral bed could take more than sixty years to grow back. 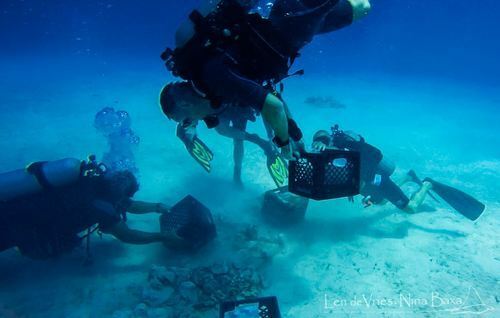 The Carnival Magic has damaged almost 12,000 square feet of reef located in deeper water, so the volunteer army has its work cut out for it. The restoration work is difficult and exhausting, but everyone involved knows it will pay off in the years to come. While the dive site won’t be what it was originally, restoration can at least make the reef stable enough to sustain life again. The rubble also needs to be removed as soon as possible to prevent further damage when the next big storm kicks up. While an investigation into the Carnival Magic incident is conducted, the repair work at the site continues non-stop and to date, more than a 20 dives have been made and volunteers have put in 150 man-hours. Communication and coordination are done through a Facebook page that now has 265 followers. Boat trips are scheduled and volunteers, both locals and visitors, can sign up to help. The challenge for Sahm and Hatcher will be keeping up the enthusiasm and pace of the repair work during the months ahead. 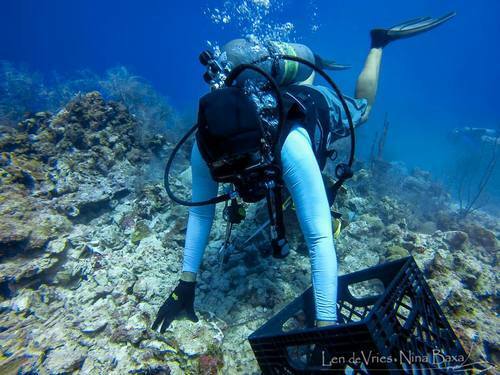 According to the Coral Restoration Foundation (CRF), a nonprofit conservation organization, the key to a successful project is to engage the community, something that is now taking place on Grand Cayman. 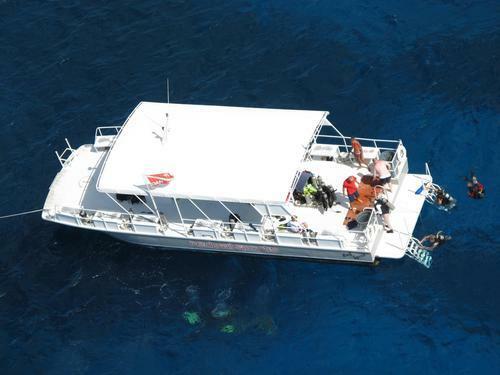 Sunset House, Ocean Frontiers, Red Sail Sports, Divetech, Don Foster’s Dive and other local operators are providing boats and tanks for the dozens of volunteer divers. Southern Cross Club staff in Little Cayman will participate during an upcoming trip to Grand Cayman. Foster’s Food Fair, a local grocer, has donated the plastic milk crates being used to remove the rubble, while the local Subway has provided free sandwiches for the restoration crew. The hope, according to Sahm and Hatcher, is to encourage long-term involvement and partnerships that will keep the momentum going. Team leaders and coordinators met with a Department of Environment officer on Monday for a project review, and the results according to the DOE, are encouraging because of the progress that has already been done. 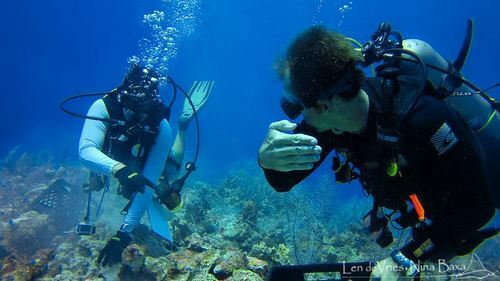 The project has an on-going need for more volunteers and anyone interesting in helping is asked to visit the Facebook page Cayman Magic Reef Recovery where volunteer dives and updates are continually posted. A host of travel option are available for the “Legends and Lions,” celebration on Grand Cayman October 4 – 11, 2014, but discerning divers seeking an exceptional travel deal should take advantage of Red Sail Sports’ dive package with accommodations at the luxurious Westin Resort on Seven Mile Beach. It starts at an incredible US $975 per person (based on double occupancy) for a 7-night stay and it includes a daily 2-tank dive, plus the common elements being offered as part of the celebration. The weeklong event brings together several existing scuba promotions during this slow time of year to take advantage of off-season rates. All “Legends and Lions” packages include; a daily 2-tank dive, a dive on the USS Kittiwake wreck, a Lionfish certification with a 1-tank Lionfish hunt dive, a street dance and tickets to the International Scuba Diving Hall of Fame Induction Dinner, where guests can minge with the “legends” of diving. 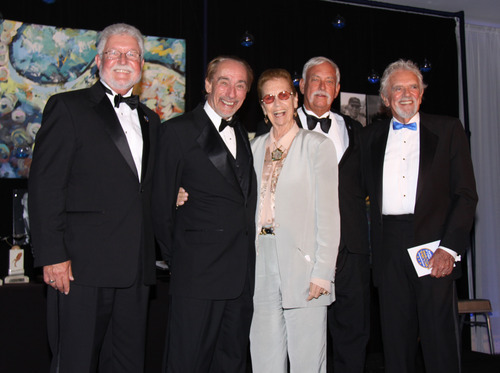 Cayman is host to the ISDHF and some of the biggest names in the dive industry will be honored: Alese and Mort Pechter, Bill Acker, Chuck Nicklin, Dan Orr and Neal Watson. The “Lions” in the event name refers to Cayman’s continuing battle against invasive Lionfish, which threaten reefs, not only in the Cayman Islands, but also all across the Caribbean. Red Sail Sports and other participating operators plan all-out assault on the invasive Lionfish on Thursday, October 9 with a Lionfish culling certification followed by a 1-tank dive to remove the predators from local reefs. The day’s catch will be cooked up and enjoyed during a street party on the waterfront in George Town. The Red Sail Sports and Westin Resort partnership gives dive travelers another reason to celebrate – enjoying the very best Cayman has to offer at bargain prices not available the rest of the year. The Westin Resort, with its elegant tropical atmosphere, is situated on the soft, white sands of Seven Mile Beach, ranked by US News Traveler as the #1 beach in the world. It features comfortable rooms, world-class restaurants, spa facilities and all the amenities needed to pamper guests. Red Sail Sports, known for excellent customer service and first-rate facilities, operates a watersports shop on the beach at the Westin. Guests enjoy convenient and easy boarding because Red Sail Sports’ customized, spacious dive boats pull up right up on the beach. To book e-mail: info@redsailcayman.com, call: 1-877-506-6368 or visit our website: www.redsailcayman.com/legends. 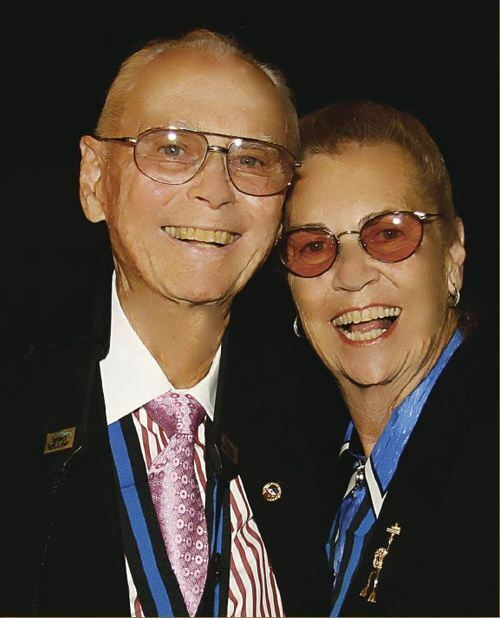 Cayman Islands, September 23, 2014 – The Cayman Islands pavilion at the annual Diving Equipment and Marketing Association’s (DEMA) Show in Las Vegas, Nevada on November 19-22, 2014 will be welcoming and honoring dive industry legends who have been inducted into the International Scuba Diving Hall of Fame (ISDHF), founded in Cayman 14 years ago. Making appearances at the ISDHF show booth will be some of the best known names in the dive industry worldwide: Leslie Leaney, Carl Roessler, Howard and Michelle Hall, Ron Stevens ‘Rogest’, Wyland, Joann and Armand Zighand, Bob Hollis, David Doubilet, Drew Richardson, Howard Rosenstein and Cayman’s own Ron Kipp and Cathy Church. Also making appearances will be 2014 honorees. 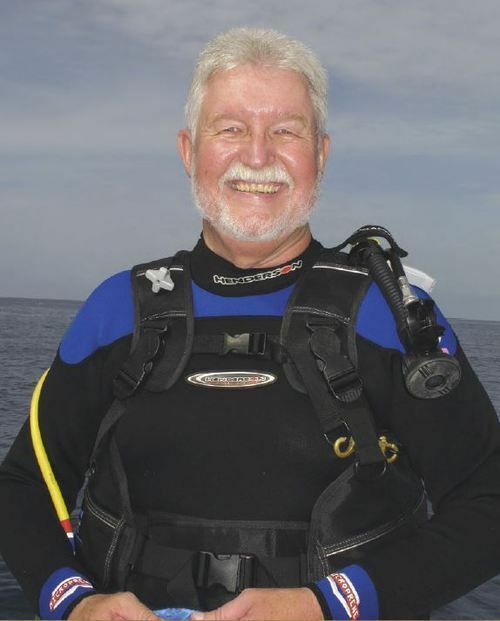 Dan Orr – Most recently the President Emeritus of the Divers Alert Network Foundation and the former CEO, Orr has been involved in the diving industry for more than 40 years. Orr continues to promote dive safety as an author of books and contributor to magazines. Neal Watson – Watson has enjoyed a varied career in commercial diving, stunt coordination for the films and TV, hotel management, and diving franchises. 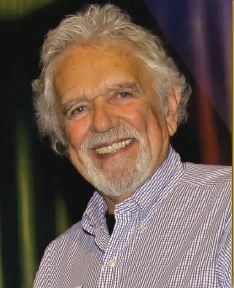 Watson holds several Guinness World Records and has worked taught several celebrities to dive. He has hand-fed sharks with Jean-Michel Cousteau. 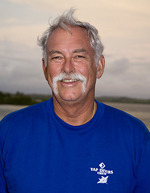 Bill Acker – Acker is the owner of the first dive shop in Yap and has helped make the island a top international dive destination, bringing jobs and prosperity to the local community. 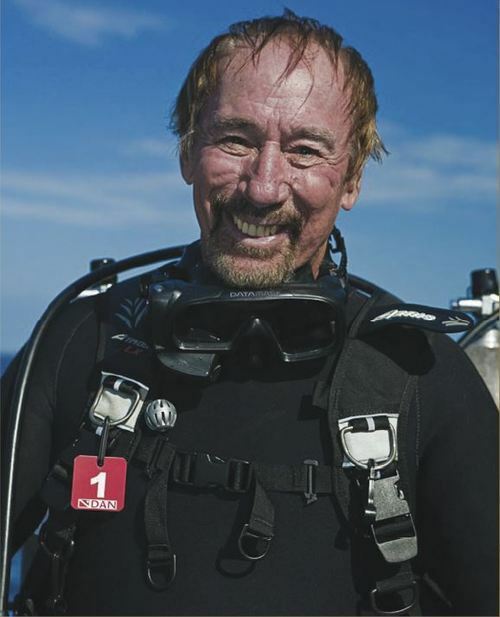 Chuck Nicklin – With an extensive background in underwater photography, Nicklin has had work published numerous catalogues, magazines, and movies, including ‘The Deep,’ ‘For Your Eyes Only,’ ‘The Abyss’ and ‘Never Say Never Again.’ He’s also been instrumental in building the San Diego dive scene, and is a contributor to the international dive community. Alese and Morton Pechter – Underwater photographers Alese and her late husband Morton Pechter have documented the underwater world for a number of publications. They’ve been active in educating children about the marine environment and advocating for ocean conservation. The Pechters have been honored by the United Nations Environment Programme and recognized by the US Navy as Honorary Deep Sea Divers. A set schedule of appearances by dive legends will be released at a later date. The Cayman pavilion will also include an ISDHF photo booth with life-size cutouts of early dive pioneers and a display of historic dive equipment. 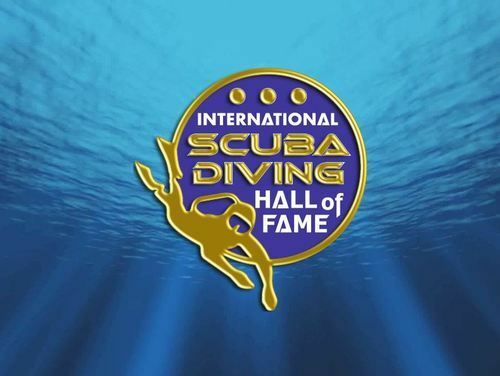 Because diving is intrinsic to Caymanian culture, the Cayman Islands’ Ministry of Tourism founded the International Scuba Diving Hall of Fame in 2000 to recognize individuals who have contributed to the industry making the sport better for all. The DEMA promotion is an extension of “Legends and Lions” a festival showcasing Cayman’s diving scheduled October 4 -11. Teaming up with the Cayman Islands Department of Tourism to combine several dive promotions to take advantage of off-season rates, Red Sail Sports, Divetech, Ocean Frontiers and Sunset House are offering value-packed dive deals. Participants will have the chance to dive with 2014’s honorees, and mingle with them during the induction dinner that is capping off the week’s activities. 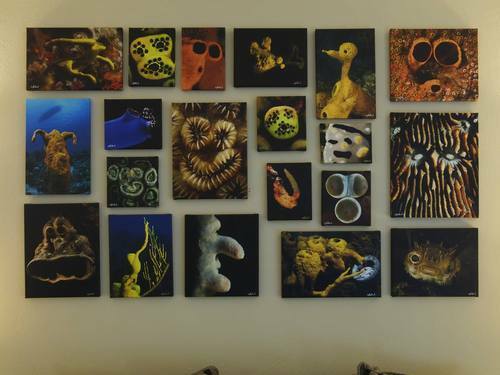 Sunset House, the hotel for divers by divers, has completed four of what will ultimately be 22 themed guest rooms decorated with the work of some of the dive industry’s elite underwater photographers. The design upgrade is part of a continuing makeover plan by the popular dive resort, to enhance the dive experience for guests who travel here to enjoy Cayman’s famed underwater world. Customers can now book one of these signature oceanfront rooms, or suites, and walk into the beauty of the undersea world as seen through the lenses of photographers Courtney Platt, Ellen Cuylaerts, Cathy Church and Jim Hellemn. “I’m very honoured to be included in the Sunset House Signature rooms,” says Cuylaerts, who began diving when she moved to Cayman in 2009 and only took up underwater photography in 2011. She has just been named World Champion Underwater Photographer 2013 in an international photo contest for her diverse and stunning photos. Cuylearts is displaying her work in Room 411 at Sunset House, including captivating images of the silversides the visit Devil’s Grotto and numerous sites around Grand Cayman each summer. She hopes her photographs will inspire divers to take a closer look. Digital imaging and underwater specialist Jim Hellemn, based in California, hopes his photos in room 407 encourage people become concerned about ocean conservation. “We gave the photographers free reign to decorate their signature room in the way they want to display photos from anywhere in the world to share their vision of the underwater world – each artist is completely different with their own style,” said General Manager Keith Sahm, who came up with the idea for themed rooms that extend the dive experience topside. Consistent ideal conditions and a variety of dive experiences have made the Cayman Islands a mecca for underwater photographers, both pro and novice. Sunset House, with its in-house Cathy Church Photo Centre and partnership with the well-known photo pro, cultivates the underwater photography culture and caters to all. It has taken a year to complete the four signature rooms, and Sahm hopes to get all 22 rooms done by the end of 2015. Other well-known industry photographers who will have their own signature room include: Alex Mustard, Marty Snyderman, Stephen Frink, David Doubilet, Geri Murphy and Greg Piper, among others. The partnership between Sunset House and the photographers has benefits for all involved. Prominent Cayman photographer Courtney Platt, who has done several assignments for National Geographic Magazine and has a thriving photo business on Grand Cayman, says the exposure to guests from all over the world is already providing business leads. 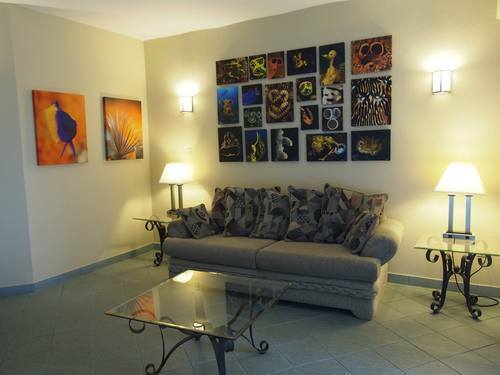 “It makes the visit for the diver coming to Cayman more exciting and the rooms become a point of interest for them and their friends who want to see the photos in the various rooms,” he said. Sahm agrees saying the signature rooms have become social meeting places for guests after a great day of diving. Sunset House/Sunset Divers has been welcoming divers to the Cayman Islands for more than 55 years. It is the only resort in the Cayman Islands, designed by divers, operated by divers, for divers. It’s also the only resort on Grand Cayman that has its own coral reef, with modern and ancient shipwrecks in shallow water right off shore. Underwater visibility on Sunset House’s reef can exceed 200 feet, and a remarkable variety of marine life to be seen there. Our own spectacular 9’ bronze sculpture of the mermaid Amphitrite is one of the most popular shore dive sites in the world. The resort features 52 guest rooms, including 16 deluxe Oceanview rooms, 2 spacious suites and 2 apartments with full kitchenettes. All rooms are air-conditioned, with phones and private baths. Free Hi-Speed Wireless Internet can be accessed throughout the property and a convenient computer station is located in the lobby. SeaHarvest Restaurant offers full menus for some of the healthiest breakfasts, lunch and dinners around and is famous for its East Indian menu. My Bar a popular hangout for both locals and visitors, has been voted “Best in the Caribbean” by Caribbean Travel and Life and the Best of Cayman. Sunset House also features an inviting seaside fresh water swimming pool. For more than 30 years, divers and snorkelers to Grand Cayman have enjoyed a unique first-hand encounter with dozens of friendly stingrays that gather at two sites in the clear waters of the North Sound − Stingray City and the sandbar. 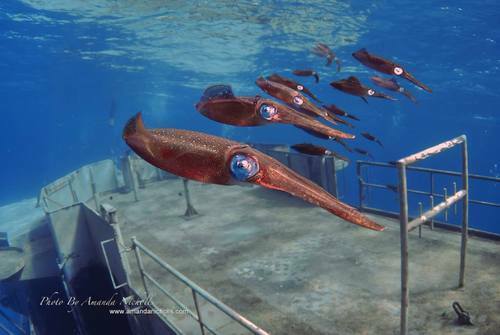 This creature experience is on the bucket lists of divers across the world. The celebrity rays have been featured on the front page of the Wall Street Journal, the cover of National Geographic Magazine, and most dive publications. NBC’s Al Roker dove with the rays in 1989 and put them on network TV. The exposure has made Stingray City one of the most popular dive and snorkel sites in the world, and it contributes significantly to the local tourism economy. Cayman’s celebrity stingrays are now under the full legal protection of the Cayman Islands Government, which amended its New Conservation Law to extend protection to Southern Stingrays in Cayman Waters. Before the amendment, the law only protected them in the Sandbar or Stingray City, designated as Wildlife Interaction Zones, and in marine parks or designated environmental zones. The amendment to the Conservation Law also extends protection to Eagle Rays and Manta Rays in local waters. Members of the Cayman Islands Tourism Association have always supported efforts to protect the Southern Stingray and the move by the government is welcomed. 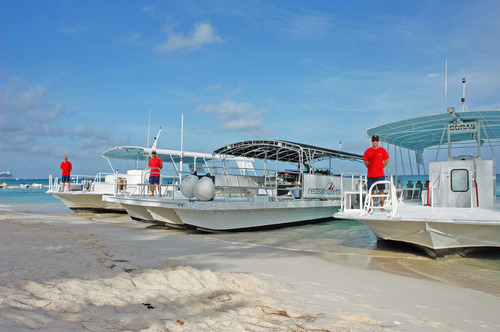 Everyone understands how vital Stingray City is to Cayman’s tourism product. The beginnings of Stingray City can be traced to the islands early days when local fishermen cleaned their catch in the shallows of the North Sound, attracting the stingrays, bottom feeders. Then divemasters doing surface intervals between dives on the North Wall noticed the circling rays and began feeding them. “I can remember they would come to me and snuggle like puppy dogs, they were wonderful!” recalls Kenney, one of those divemasters and a long-time Red Sail Sports staffer. The divemasters helped dispel the bad myths surrounding stingrays and the Stingray City experience took off. 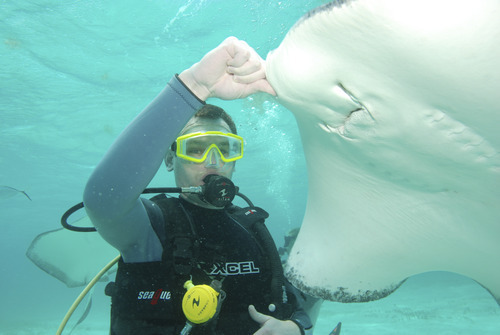 This experience with the friendly rays has thrilled thousands and made Stingray City the number one dive and snorkel site in the Cayman Islands. 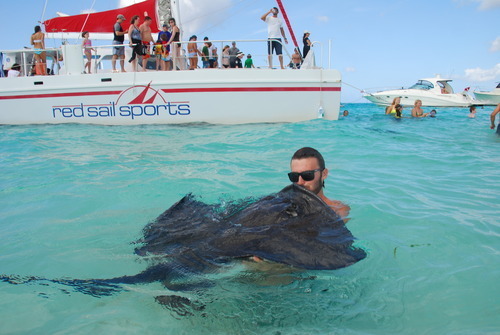 The Cayman Islands Department of Environment introduced guidelines in 2007 to manage traffic at the stingray sites and actual handling of the rays. 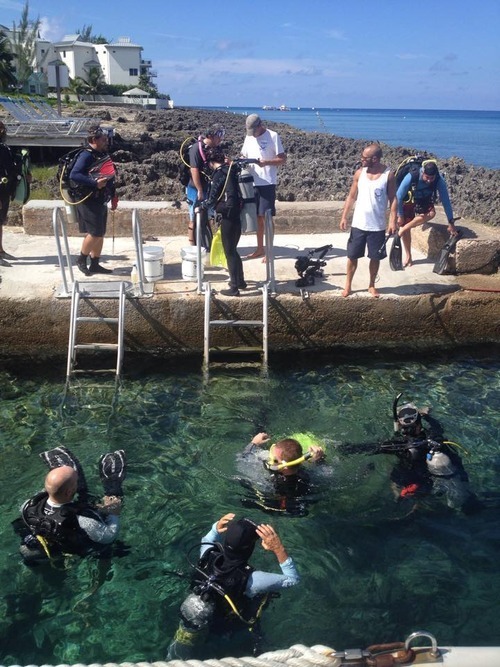 Dive operators emphasize these rules to visitors before they enter the water. An annual census by conservationist Guy Harvey, with assistance and oversight by the Department of Environment, helps monitor the health of the rays and the dynamics at both sites. According to the latest count 90 stingrays frequent both Stingray City and the Sandbar. Most are female and many of them are pregnant. This year 48 new stingrays have been tagged in the census. Grand Cayman, Cayman Islands (Dec 16, 2014) Red Sail Sports, Grand Cayman’s leading resort watersports operator, is gearing up for 2015 with the launch of a new dive-focused website www.diveredsailcayman.com. The website, a one-stop online shopping location for diving customers, offers quick and easy access to all Red Sail Sports dive information, showcasing the company’s new competitive dive rates and dive packages. Red Sail Sports’ Summer Spectacular package includes 5 two-tanks for just US $465, a savings of 30% from last summer’s rates. The dive website is also part of the company’s ongoing efforts to keep improving its stellar customer service. Red Sail Sports has been offering services on Grand Cayman for 27 years and it operates facilities at resorts along the island’s famous Seven Mile Beach, Rum Point and East End. Customers access all the information they need when planning their dive vacation, including a complete dive boat schedule and list of Red Sail Sports’ training courses, and easily book their adventures online. The website is designed to answer questions divers might have; certification cards, water conditions, the best time of year to dive the Cayman Islands, dive refreshers, making reservations, diver ratios, what’s needed on the boat, medical facilities on boat and on the island, and more. Visitors can browse through descriptions and colorful photos of the dive sites and check out the maps. 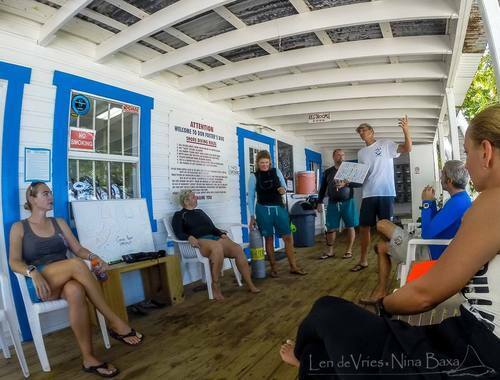 Dive instructors Vicki Jones and Chris Kirrage spent six months writing the content for the dive site and they will keep it updated with the latest from Red Sail Sports and the Cayman dive scene. As dive instructors Jones and Kirrage also want to make the process of signing up for PADI eLearning courses much simpler for their students. 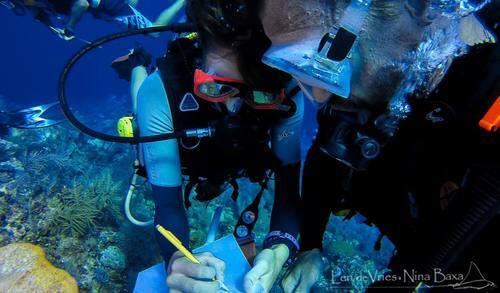 “Within 2 clicks they can be directed to the PADI sign up page for any course that we offer,” said Kirrage. Red Sail Sports’ training program includes PADI specialties such as Wreck Diver, Nitrox Diver, Deep Diver, Search and Recovery and Scuba Tune Up. Customers can also sign up for Nitrox diving, with its own nitrox compressor, Red Sail Sports is making diving with nitrox more accessible for customers. Also new in 2015, Red Sail Sports is making Go Pro action video cameras available for rent at all locations. Customers can rent them for a full day or half day with accessories to suit their activity and capture their Cayman vacation in high quality video. The company has an Action Camera Specialty Course in the works. To visit the new Red Sail Sports dive website go to www.diveredsailcayman.com.